Brilliant white gloss handle-less from our Next125 range with quartz worktops. 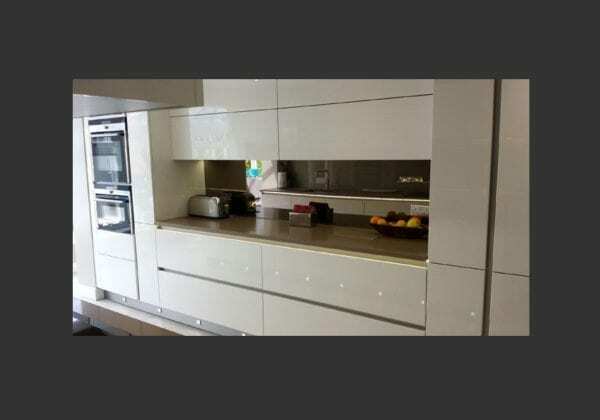 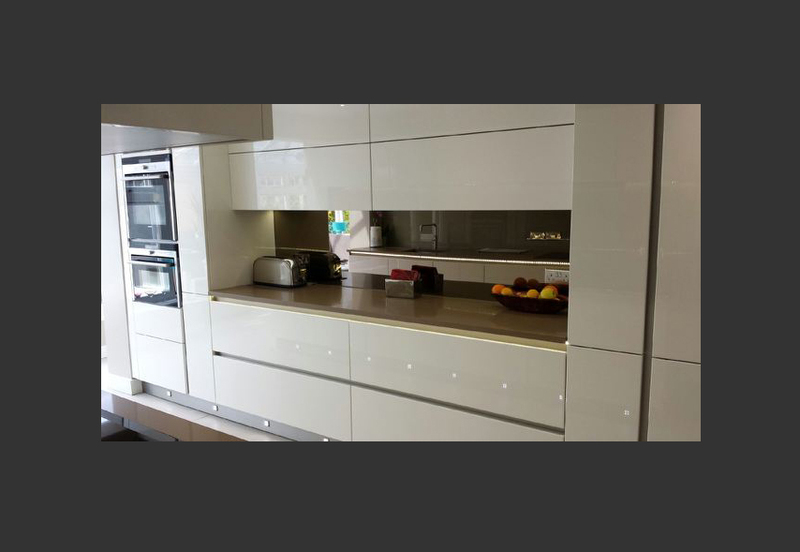 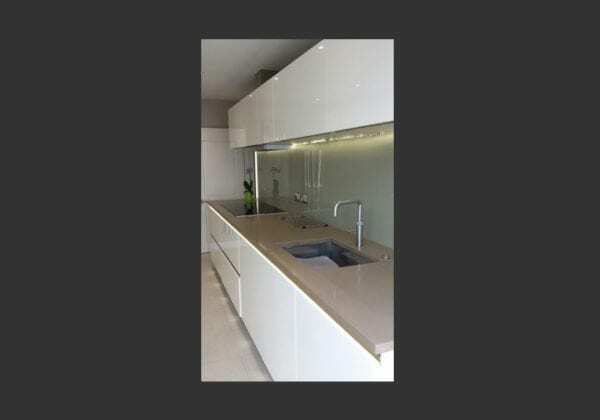 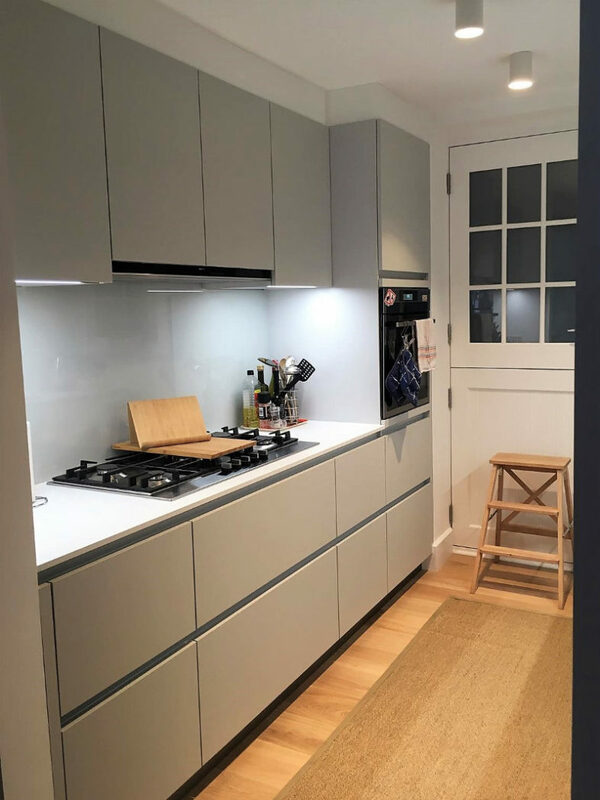 Stella combined toughened glass splashbacks on the hob & sink run with mirror splashback on the opposite run. 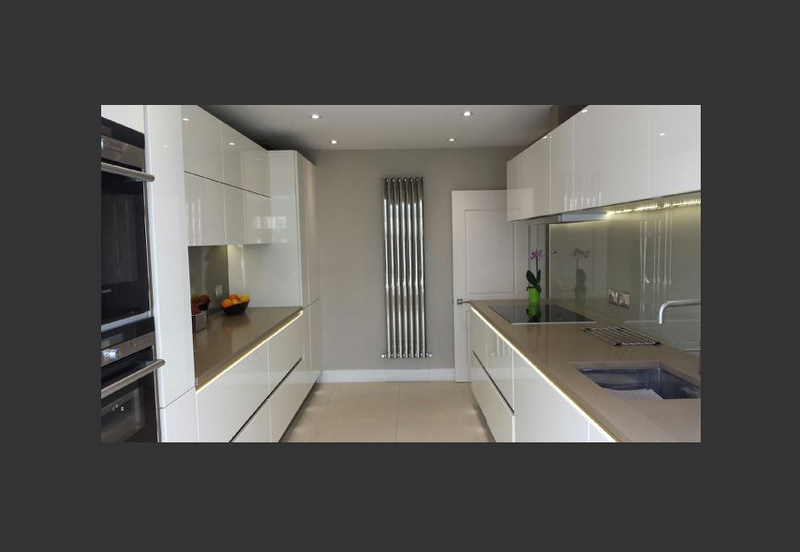 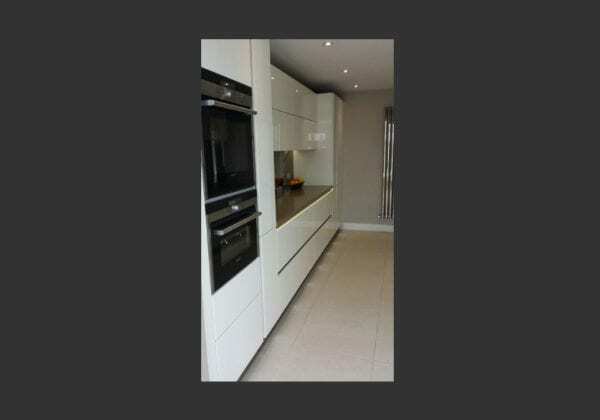 She complimented the look with Siemens appliances combined with and an all in one boiling tap from Quooker. 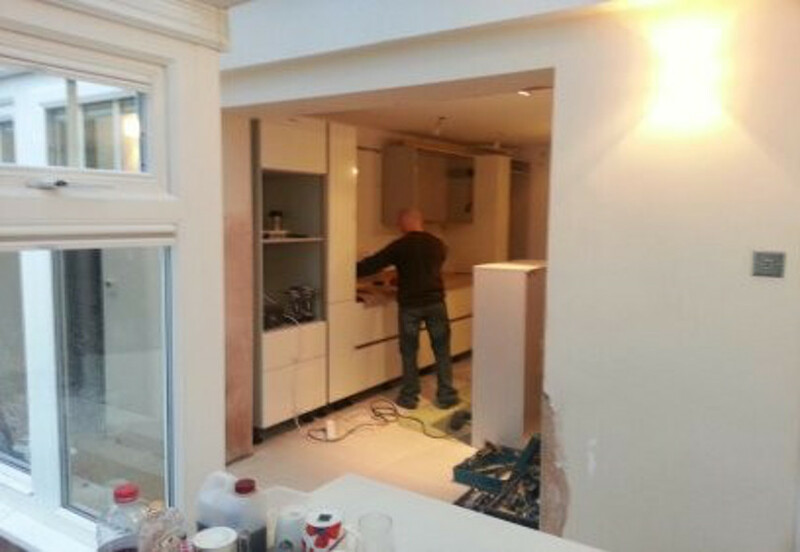 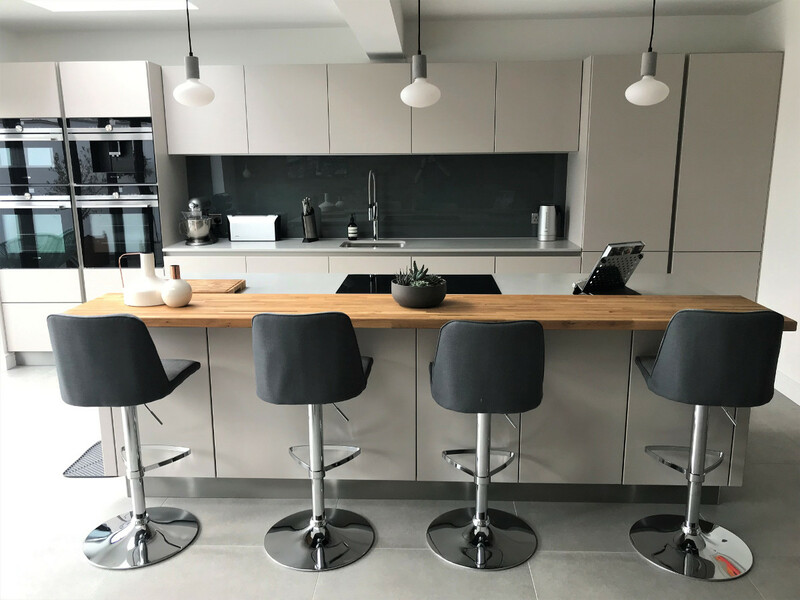 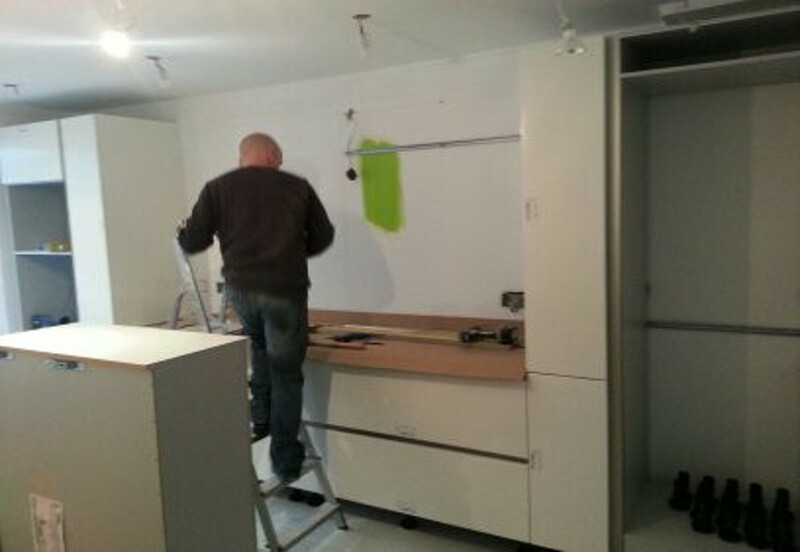 The overall look and transformation from the existing kitchen was remarkable.